It’s at this time of year when we begin what I’ll call “festival time” in the U.S. as communities all over celebrate just about whatever it is they want to celebrate…you name it. Some are small with attendees in the hundreds while others are large with many thousand coming from near and far to enjoy fellowship with others, homemade local foods, kid rides and games, arts and crafts, and usually some sort of music. 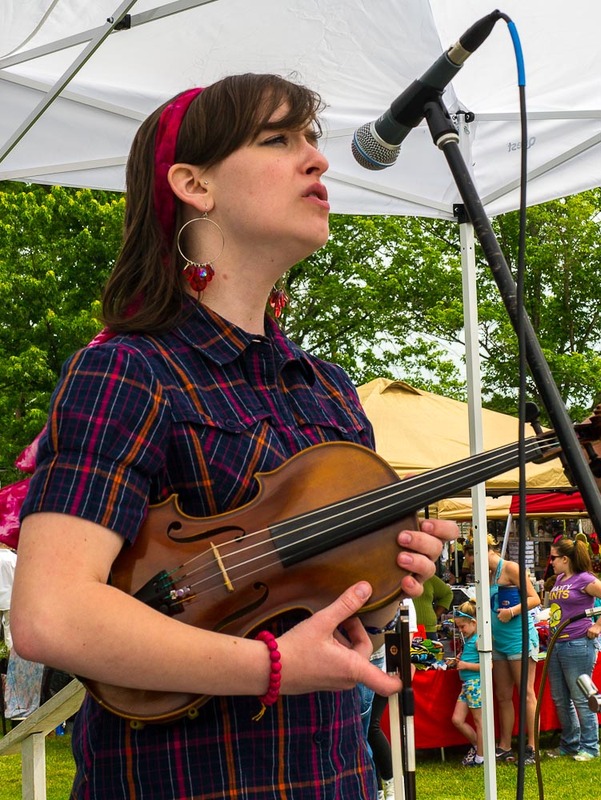 Where we live in SW Virginia, the latter is of a “bluegrass” variety and this photo shows one such singer who was headlined at the Town of Fieldale Virginia’s 2012 Heritage Festival I attended a week ago. Around 2000 attended on Saturday alone and for here that was a pretty good crowd.